This beautiful painting has been a favorite of mine for many years. 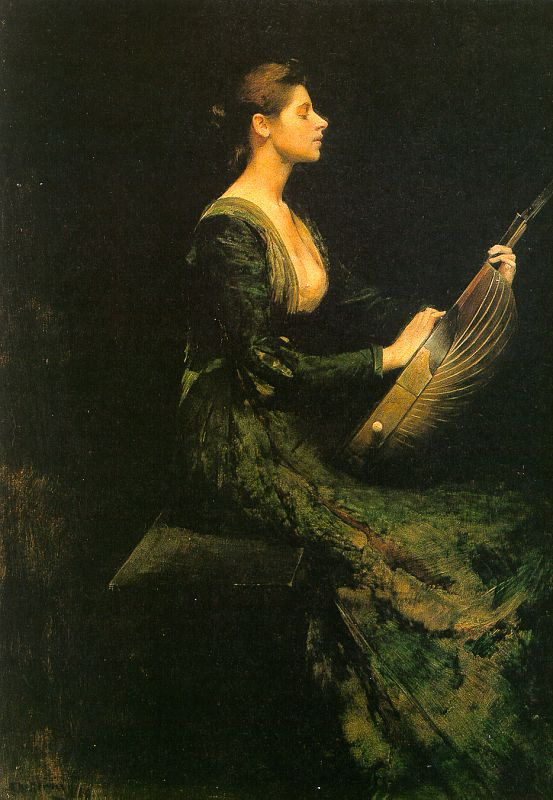 Its title is “Lady with a Lute” and it was created by American tonalist Thomas Wilmer Dewing (1851-1938). I first saw this lovely piece at the National Gallery of Art in Washington, D.C. in the early 1980s, and immediately bought a print and had it framed. Although the print cannot convey the charm of the original, I can be reminded each time I glance at it.